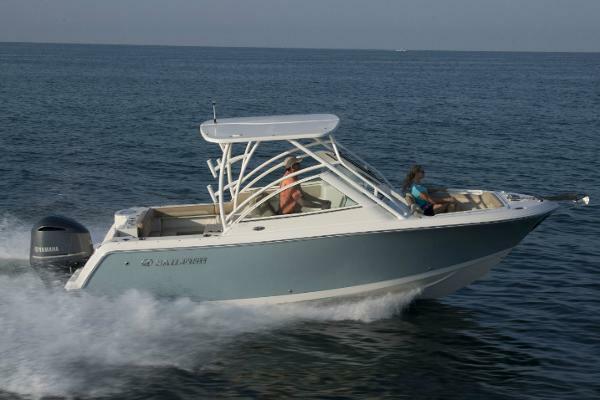 The 245DC is the perfect follow-up to Sailfish's very successful 275DC and 325DC Dual Console offerings. 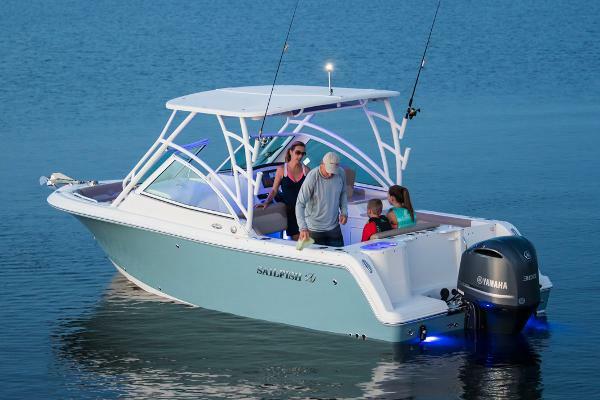 Like it's big brothers, the 245DC is the most versatile Dual Console in it's class, combining Sailfish's solid fishing focus with the family friendly attributes of the Dual Console platform. 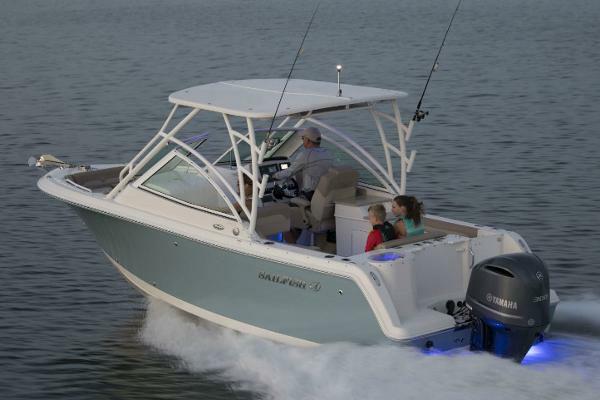 With both cockpit and bow fish boxes, a live well, strategically placed rod holders and plenty of in-floor rod storage, the 245DC is a fishing machine. 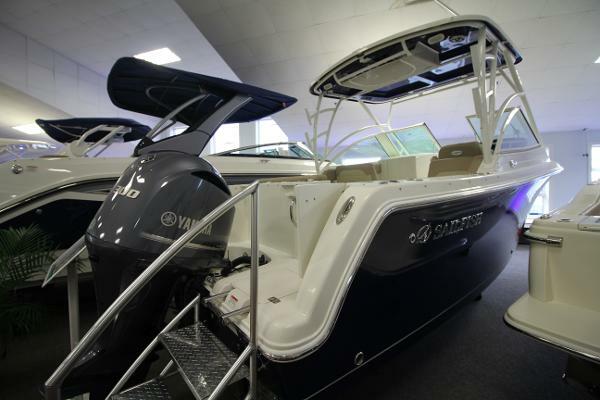 Comfortable seating for 12, a spacious step down head, a retractable ski pole and an optional cockpit galley area make the 245DC a fantastic family fun boat. 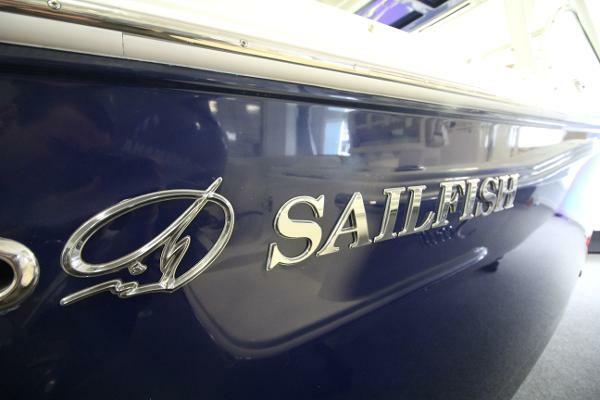 From the bottom of the 245DC's 6th generation VDS Hull to the top of it's stylish hardtop, this new Sailfish Dual Console is designed to deliver a top caliber boating experience. 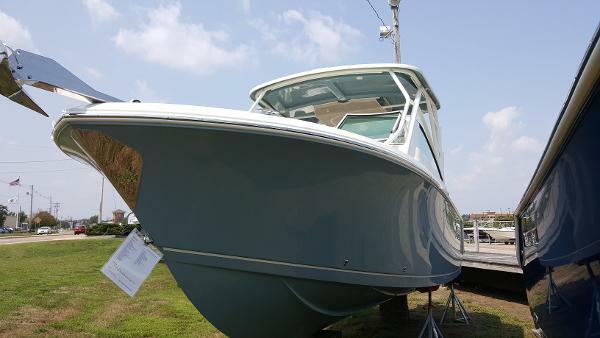 With an 8'6" beam, the 245DC is easy to trailer and ready to run in all types of water and weather conditions. 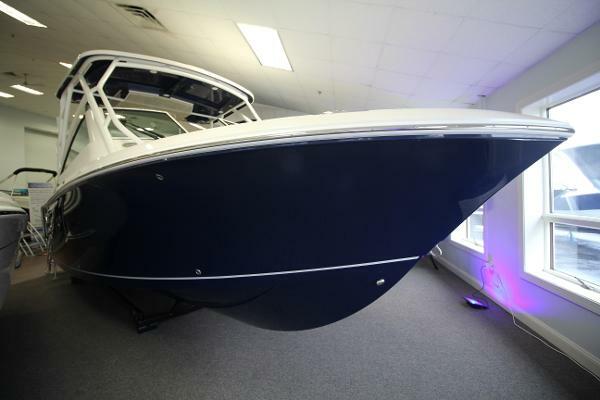 The cockpit is roomy with high gunwales to keep people in and water out. 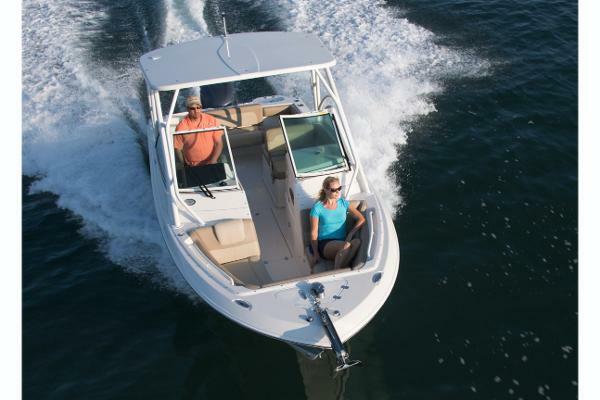 Deep, comfortable, full bow seating makes for great times with friends. 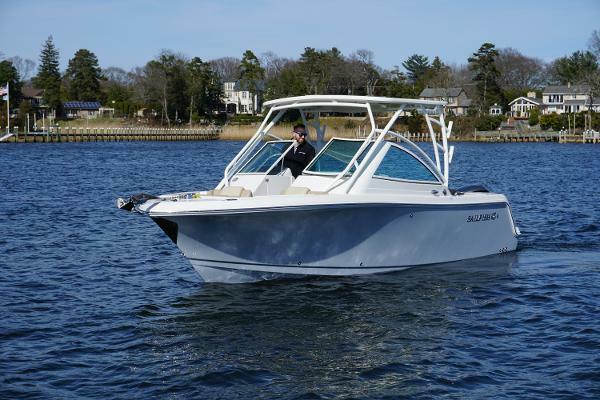 A plush captain's station and three position flip-flop passenger seat, coupled with an intelligently configured console make running the 245DC a joy. 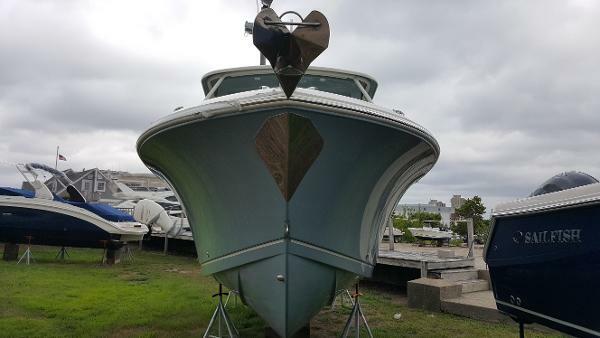 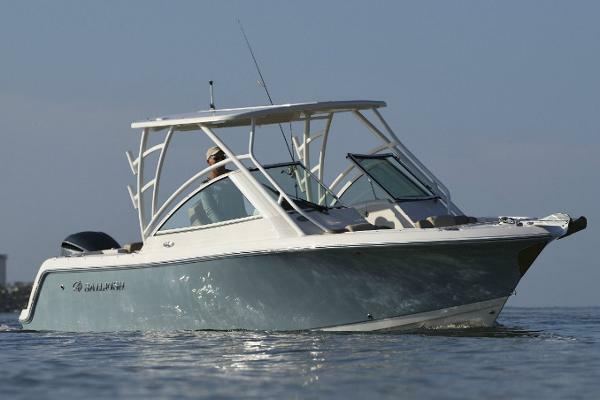 The 245DC is built using proven SailTech construction techniques - a Kevlar reinforced hull, a carbon fiber supported deck, wood-free construction, hand laid fiberglass and marine friendly stainless steel fittings and components. 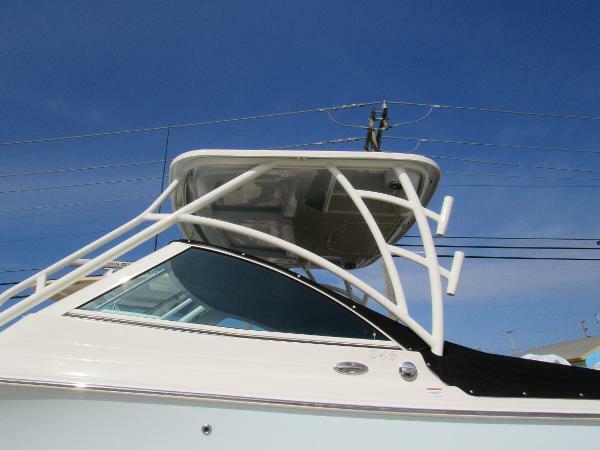 As for storage - there is a place for everything and everything is in it's place. 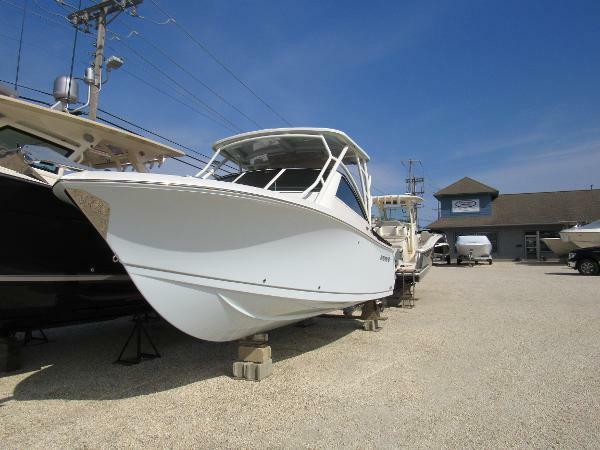 You can take the 245DC to the next level by choosing from a wide array of experience enhancing options - an electric marine head, hard-top misting system, full galley with refrigerator, underwater lighting or a thru-hull windlass just to name a few. 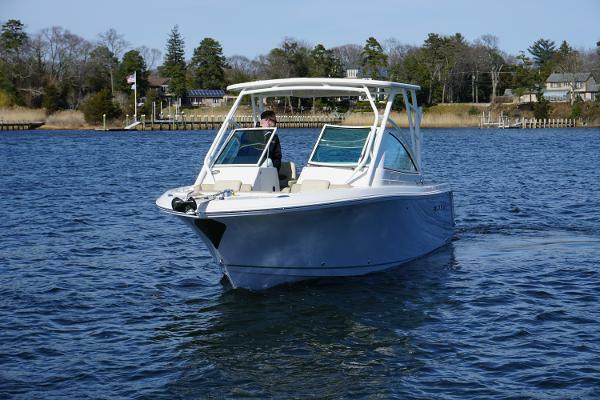 The 245DC is built using proven SailTech construction techniques, a Kevlar® reinforced deck and hull, a carbon fiber supported deck, wood-free construction, hand laid fiberglass and marine friendly stainless steel fittings and components. 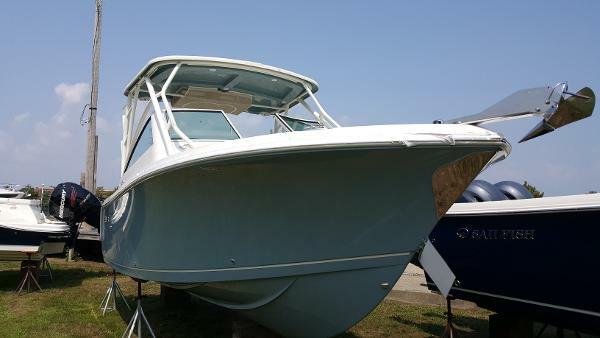 There is a place for everything with both cockpit and bow fish boxes, a live well, strategically placed rod holders and plenty of in-floor rod storage. 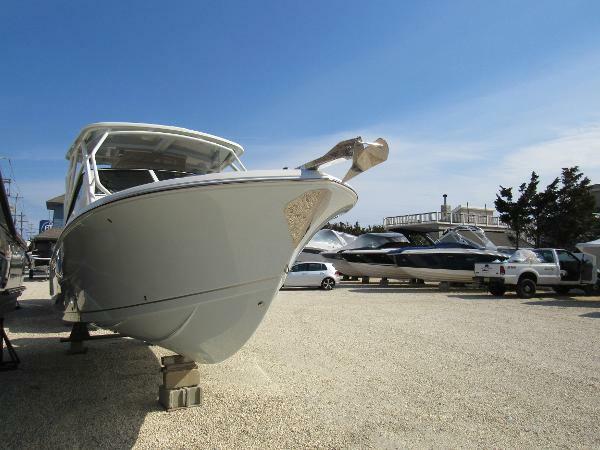 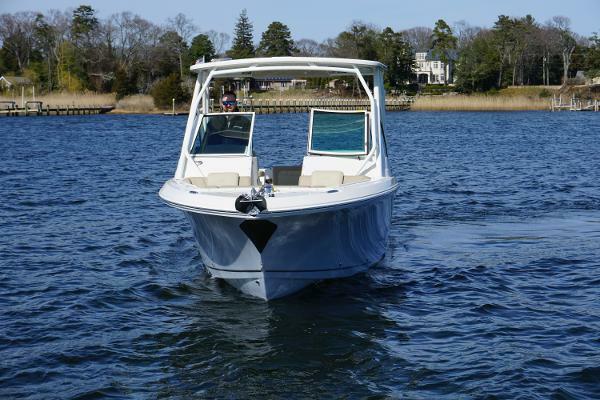 Take the 245DC to the next level by choosing from a wide array of experience enhancing options such as an electric marine head, hard-top misting system, full galley with refrigerator, underwater lighting or a thru-hull windlass. 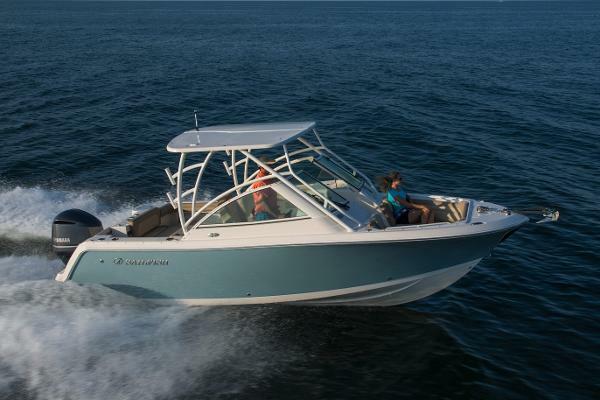 Comfortable seating for 12, a spacious step down head, a retractable ski pole and an optional cockpit galley area makes the 245DC a fantastic family fun boat.